Nowadays, entrepreneurs and business owners dream about trending online and reaching out to millions of web users but making it happen is nothing less than a challenge. The very first issue that a business owner comes across is exactly where to start from. This post will tell you exactly what to do for instant online visibility, relevant online traffic, authority resources and greater visitors. For the sake of simplicity, let’s segregate the ones that will cost some amount of money from the ones that are nearly free or come at very little cost. AdWords is a very sophisticated advertising product from Google, using which you can create banner & text ads displayed whenever relevant searches are made. The best thing about them is that you are only charged when someone clicks on the link or banner. If you are small business or store owner willing to target the searchers in your area, AdWords Express has to be the perfect choice. Keywords selection, Analytics understanding, budget determination, campaign tracking and management are some of the most demanding aspects of running an AdWords campaign. Google might be the search engine giant but this doesn’t mean Yahoo! doesn’t matter. 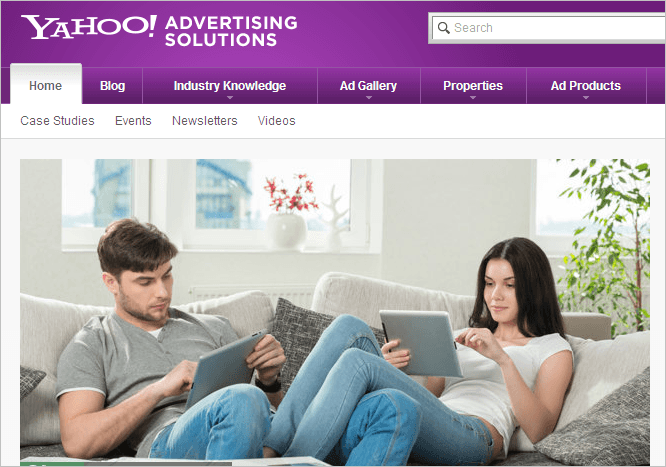 Yahoo has a vast range of advertising solutions on offer for marketers. To be precise, its display solutions are rather impressive if you have a good advertising budget. Special take on display solutions – Google doesn’t believe in earning ad-money from its search based homepage but this doesn’t stop Yahoo! from doing the same. The popular search platform offer advertisements on its homepage visited by millions of people on daily basis. For every country, Yahoo! maintains separate domain to share news and local updates. So, if you want to target a specific region, it is no problem. If you are ready to spend the money, then, Yahoo! homepage ad can offer a vast coverage. The best thing about the ad is that you don’t have to compete with other similar ads for attention (like in AdWords). Getting featured is one of the simplest ways to gain access to a ready-made readership. It introduces you to web users who are engaged and would be interested to listen what you have to say. 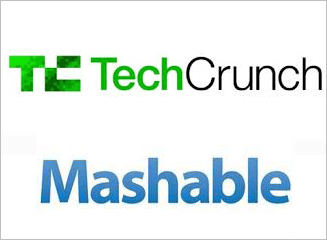 In you have technology focused product or idea, then, getting featured on websites like TechCrunch and Mashable can give you extraordinary exposure. The tough part is to identify websites with your target audience because obviously it wouldn’t make sense to get your meat shop featured in The Verge unless it has something to do with a sophisticated meat-cutting tool. Chances are that you will be charged a decent amount of money for an opportunity to interact with their audience. In case your business or website doesn’t have anything unique that could be marketed in a featured post, then, the safest option would be to get in touch and discuss advertising. Featured post will remain visible for a limited period of time (till new posts push it underneath) but advertisement will keep on communicating for as long as you wish. If you own a web hosting company, then, it would be best to put your ads on blogs/websites that share information about technology, web service providers, and online entrepreneurs. In case you are florist looking for new clients, then, putting up ads on wedding and catering blogs can help greatly. The idea is to get your ad on the right places. Initial discussion & study will bring you across associated cost, ad positioning, and other details. It has more than 200 million active users. All those people make around 400 million tweets every day. And the number is growing with each passing day. You can promote your profile, posts or both. Twitter has a solution for every business need but firstly it is important that you understand all the important details about the platform. CAUTION- Twitter audience however is known for their in-your-face nature. 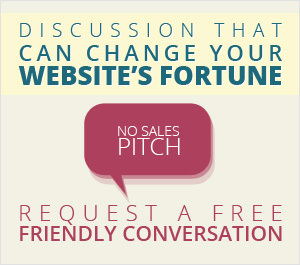 So, be cautious how you pitch your brand idea and start an interaction. People nowadays are heavily dependent on search engines (especially Google) for locating businesses, data, people, or anything that interests them. So, would it be nice to use this habit to your business advantage? Google AdWords use the same concept to furnish relevant results. However, in this point, we are speaking about influencing real search results in the pages. For instance, you have started a breakfast joint in New York and you want to target people looking for healthy light meals in the morning. You can accomplish this by making your website and online presence relevant to searches like ‘healthy meals NY’ or ‘best breakfast joint in New York’. This requires including relevant phrases in your website, profile pages and planning your online presence as per Google Guidelines. If you have a sound knowledge of how search engines work, keyword research, online marketing and also have the time for it, you can manage it on your own. Usually, business & website owners hire online marketing agencies or SEO experts to manage their online presence. Besides assisting with search engine presence, some renowned companies also assist in polishing social media presence to derive maximum business traffic. How to get started– It is best to discuss your marketing needs with an agency that specializes in online marketing. Undertaking an online research can bring you across various e-marketing service providers. Press release is one of the most famous ways to announce your entry into a particular field or share your success stories. Web based brands use the medium very often to connect with their client base and make a positive impression on prospects. Above mentioned platforms charge a reasonable amount to give you the coverage and reach. How to do it – On visiting the above mentioned links, you can easily locate the submission guidelines and fee charged. Go through the recently released PRs and you will have a fair idea how to go about it. The big players in the local business are Google, Yahoo and Bing. However, there are various other service providers that have made a name in the field. Yelp and Foursquare are two of them. Once you have completed the profiles, filled the important details and verified your business, it will be visible to people looking for similar services. While most websites don’t charge for profile creation, they do ask a fee for additions such as logo, images and other branding elements. It sometimes becomes difficult for business owners to manage multiple listings. This is where websites like Yext come in. Such services are not free though; they come at a small monetary cost. If your business idea has the potential to change the dynamics of your industry or has the element of inspiration in it, then, it would be best to enlist as an innovator or entrepreneur by getting your interview published. Such interview based websites have a steady readership base that looks forward to inspirational stories and personal experiences. Getting yourself published will give you an opportunity to discuss your business, how it came into existence and other critical details. This will also become a positive web resource for you that will show up on search engines whenever your name will be put to scrutiny. IdeaMensch is a platform where entrepreneurs come to share their stories. Just visit the website and you wouldn’t have to look hard for learning how to give an interview. Though the interview publishing doesn’t come with a fee, you can choose for a ‘speed-up’ package to get it published on the day of your choice. Nothing captures web user’s attention better than graphics. Visual elements have high chances of going viral on social media as well. So, you should seriously consider making presentations. SlideShare is a popular platform that really makes presentations come alive. You can present your business idea or products in a creative way by using pictorial slides. If your slide is an ace in terms of design and content, then, your work also carries the chance to become ‘top presentation’ or will ‘get featured’ on homepage. If you go the social media shares, you can also make it to ‘Hot on Facebook’, ‘Hot on LinkedIn’ or ‘Hot on Twitter’ list. All of it at no cost at all! FATbit recently created a biography themed slideshare on serial entrepreneur, Neil Patel (co-founder of Crazy Egg and KISSmetrics) to celebrate the entrepreneurial spirit of young tech wizards. Make a master description to inform people about yourself and your offerings. Opting for a pro package (which is paid) will give you additional features & liberties to make your slides truly conversion friendly. If creating a presentation and taking care of such details seems too much, then, there are design agencies that offer professional presentation design services . YouTube and Vimeo are both household names and we don’t need to tell what it means to go get million YouTube shares. Creating an engaging video no longer requires a digital camera and high-tech team. You can very well do it yourself with the help of friends and family. When it is done, don’t forget to share it on as many social media platforms as possible. Infogaphics are presently a rage on web. They work best in furnishing boring facts and information in a creative & fun manner. Possibilities are indeed huge if you have the creativity flair and unique idea. Online brands hugely make use of infographics to communicate brand message and products. Infographics have huge potential for social media sharing and can also be featured in blogging platforms for greater coverage, not to mention it can also be shared through Twitter, Pinterest and Facebook. If you have a creative flair and working knowledge of web designing tools, you can easily create an infographic on your own. However, creating an impressive infographic with no or limited designing knowhow can be a challenging task. To make a lasting impact and convey business idea, it is important that graphic elements and content work together to create a unique experience. Businesses often hire professional designers to get the perfect infographic for their business idea. You might be new in the web world but there are people who are followed, trusted and paid attention to. Be it Facebook, Twitter or Pinterest, such people are everywhere. Try to influence and impress such people to share your idea, message or at least posts. Even if you get such 10 people on board, you have already caught the attention of tens of thousands. There can be nothing better than influencers from your industry spreading your brand message. Greater the number of positive social resources, the better it is for your web presence. Everyone expects a brand to have an official Facebook, LinkedIn and Twitter profile. So, don’t forget to create your profiles on such popular social platforms. In case you deal in something that is visual in nature, then, creating a Pinterest and Flickr profile can benefit greatly. Fill the ‘about section’, ‘description’, and related details carefully because they will help the visitor in learning about you. Moreover, a good description and profile will also help you in dominating search results. Keep a SEO specialist at hand while creating such social resources. He/she can guide you about creating accounts that will actually generate benefit for you. In case you don’t know any such person, contact our expert marketing team . We would be glad to assist you. This may not bring immediate website traffic and queries but is very crucial from the long term business prospects. Spreading your brand message to greater number of audience requires a lot more efforts than just advertising. Guest blogging is a popular medium to show your industry expertise, knowledge and also plant your business links at the right places. By guest blogging regularly on multiple platforms, you can build a followership, influence readers and generate an interest for your offerings. If you are posting regularly on reputed guest blogging websites, then, you are also adding to the search engine value of your website and social profiles. The best way to go about a guest post is to be as informative as possible. Most blogs that allow guest posting don’t keep promotional links in the content. So, you will benefit only from your author bio. Readers will study the bio only if you will really make an impact. For social media, SocialMediaToday is widely favored. You can also make lenses on HubPages to share your insights and build a following. HubPages is also widely famous for sharing information. If you really look forward to market your brand, business or idea, above are the most excellent ideas to start with. However, these are not the only things that can bring you name and fame on web. Community participation through forums and ‘answer’ websites is another way to discover people that can be interested in what you have to say. An amazing website is almost obligatory if you really want to capitalize through above listed marketing & promotional techniques. Your idea or business may be truly out of the world but until you website doesn’t reflect it, chances of success are rather tiny. Your website would be the most obvious destination for someone influenced with your marketing campaign, not to mention it needs to be there with most of your promotional efforts. So, make sure you have a great website that truly does justice to your unique plans. In case it doesn’t, promotion can wait for a while. 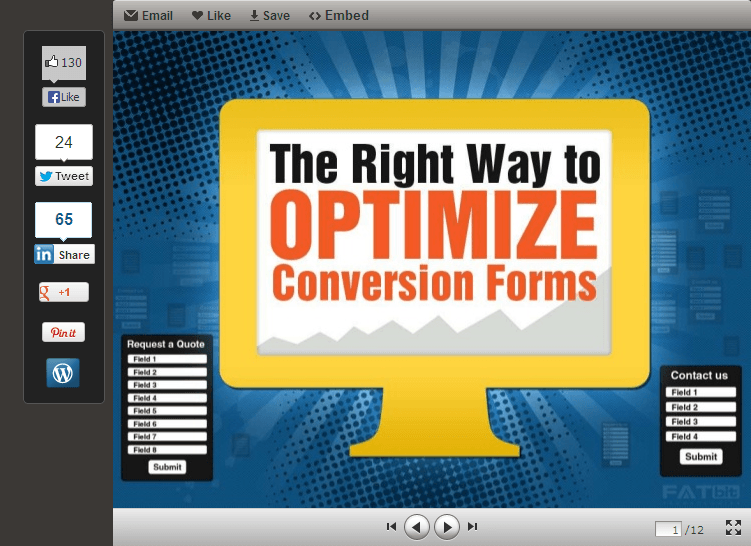 The first thing occupying your mind should be to get the main conversion option (that is, the website itself) right. Posted in SEO & PPC, Conversion, Social Media and tagged as generate website traffic, free traffic guide, increase online traffic by Amit. Amit leads the team of online marketing experts and helps FATbit make sense of Google search engine. He has an MBA in marketing and Excellence in SEO. A great guide to online promotion. Thanks for the post. The list is exhaustive, well structured and very helpful. I think another option of online promotion is advertising on Facebook. It takes much less effort compared to running a marketing campaign on Twitter. Astonishing articulation ,more than worth to read this kind of blog,I don’t think anyone need to read anything else about HOW TO INCREASE WEB TRAFFIC, this is the end of my search, Hats off to and many many thanks to you ,keep up the good work. Thank you for re-visting Jennifer. Feel free to send in your suggestions for – what you think we can improve on our blog and blog topics being covered. The clarity to your publish is just great and i could think you’re a professional on this subject. RSS feed to keep updated with forthcoming post. Thanks 1,000,000 and please carry on the rewarding work. notice this. You should proceed your writing. I’m sure, you have a huge readers’ base already! I’m nott sure where you are getting your info, but good topic. Thanks for your appreciation. Keep coming back for more interesting stuff. Thanks for appreciating our blog posts. Keep coming back for more such interesting and informational articles. Keep adding fresh content to your blog as Google love it. You can take help from SEO experts to rank your blog well in search engine results. Stay connected we have many interesting articles in the pipeline. Traffic generation is really difficult task for new bloggers but your post is very helpful for newbie bloggers like me. keep visiting us for more such useful content. Very Nice article I think Guest Blogging is the Best to get organic traffic however in the same time we might go for quality link building like forum submissions and blog commenting as well. Nice job done and thanks for sharing to make us the part of this article. Keep it up. Best wishes for your next article. Keep visiting us for more such interesting posts. I am really pleased to read this blog posts which includes tons of helpful facts, thanks for providing this information. This really helped me understand how to generate traffic thru online and offline promotion. Keep coming back for more such posts about marketing.